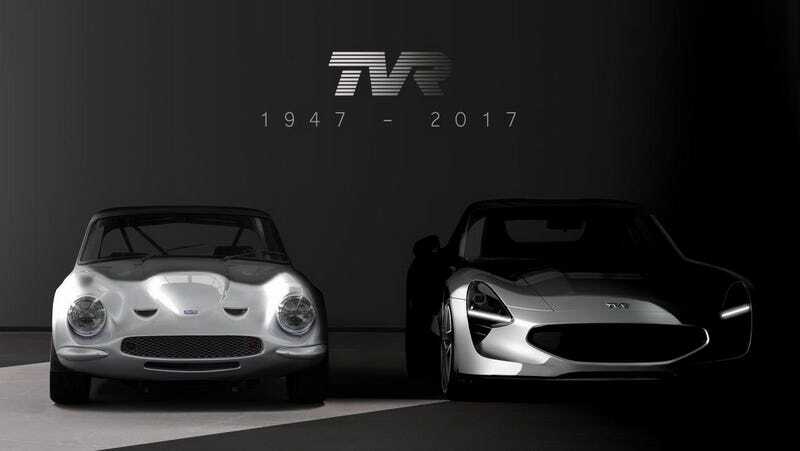 TVR is coming back, you guys. This is the latest teaser image for it. And you know what? It kind of looks like a McLaren 720S. This is not a bad thing. The TVR’s headlight design has a similar triangular silhouette, with a thin blade of LED running light stretching beneath the actual headlight. I thought it looked absolutely exquisite on the McLaren and it’s really working on the TVR, too. 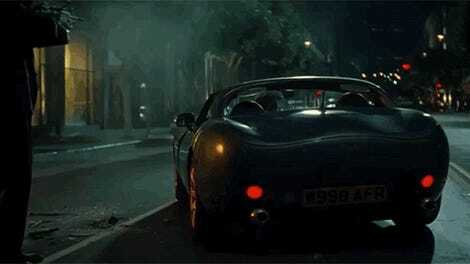 It doesn’t seem like there are cutouts in the body of the TVR for the headlights, though. Word is that the new TVR will have a dry-sump Cosworth V8 and a manual transmission. It is said to weigh around 2,700 pounds and have 400 horsepower per ton. Perhaps side-facing exhaust tips? One can only dream. The car will be unveiled this Friday at the Goodwood Revival. In the meantime, here’s a photo of a TVR Sagaris. It’s pretty.